If I were to describe Xeodrifter in its most simple form, it would sound like every other indie game out there. It’s an 8-bit metroidvania-style shooter with RPG elements developed by Renegade Kid, but hot damn is it ever fun. Originally released as a 3DS title last year, it’s made its way to next-gen consoles and PC. It’s a love letter to games that came before it, with a simple story and pick-up-and-play game mechanics, while keeping the formula fresh to make a game that is completely unique. In terms of story, there’s not much there. You play as a nameless astronaut whose ship is hit by an asteroid, and you must search nearby planets to repair it. Unfortunately for our space explorer, none of these planets are friendly and you have to Mega Man your way through them for some upgrades. Upgrades come in two forms: gun enhancements and new abilities. Both are very important to the game, but your actual powers are what get you through each level. There are six to be had; a submarine power, the ability to jump between the foreground and background, rocket ability, speed run, a charged shot attack and teleportation. On their own, these powers are pretty useful. But farther into the game, players need to combine these features to make it through each level. This makes for really intense reflex situations where players must combine all the powers in succession to traverse each world. There are four planets in total, but players will have to make multiple trips to find everything. There’s always a secret or two scattered on each map, and there are locations you can’t reach until you acquire a specific skill. It makes each world feel small at first, but very expansive later on in the game. Midway through each location, there is a boss fight. Unfortunately, they’re all palette swaps of the same weird insect monster, but each one has an extra ability to keep you on your toes. Eventually, you’ll have to use each upgrade to expertly take them down; but it will take a few tries. But the challenge isn’t an issue in this game. Sure, it’s not easy, but there is never a point where I felt the game was unfair. The difficulty curve is almost perfect, and the more you play the better you get. The problem lies in how some of the more difficult points line up. There are a lot of enemies waiting for you at the edge of your screen that you can’t see. Because it’s a rather fast-paced game, it’s very easy to run into a gross alien face. Trial and error is one way to put it, but there are points that don’t sit well. Those times of frustration pass as you learn the game, though, so it’s more of an annoyance than anything. It’s really hard to stay upset at a game so charming. Aesthetically, it’s gorgeous. Its 8-bit-plus style makes it feel like a relic from the past, but slightly upgraded to show more. The musical score is interesting; it’s reminiscent of Cave Story but with more of a Metroid feel. It all fits together to make an experience that feels genuine. Admittedly, the ability to jump from foreground to background doesn’t translate as well onto the big screen as it does on the 3DS, but it’s a minor gripe for an otherwise amazing experience. 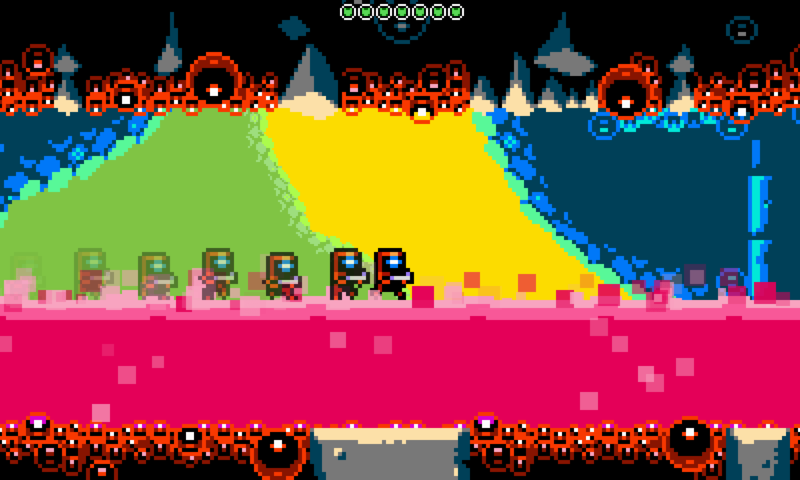 It’s really hard to walk away from Xeodrifter with anything but fond memories. Its retro inspired aesthetic and difficulty make it a blast for anyone who grew up playing Metroid, and its straight-up fun factor make it a great time for anyone else. It’s a highly enjoyable game with a unique take on a genre that’s overused in today’s gaming landscape. This game is a gem and should be enjoyed by everyone, so go out and have a blast! 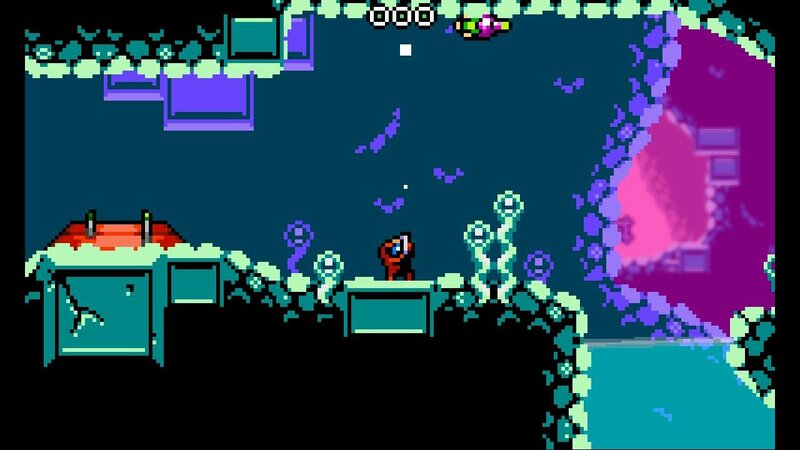 It’s really hard to walk away from Xeodrifter with anything but fond memories.